GREEN - BUILT An Energy Star Home. Country living at Trails End above Garner Valley Backs to Nat'l forest. Catherdal Ceilings SIPS Construction for Entranced Earthquake & fire Protection(See WWW.SIPS.ORG) Tankless Hot Water. 1,000 sq. ft of Trex Decking Spaicious living room, vaulted ceilings. 2- very spacious bedrooms - and loft with attic type storage. 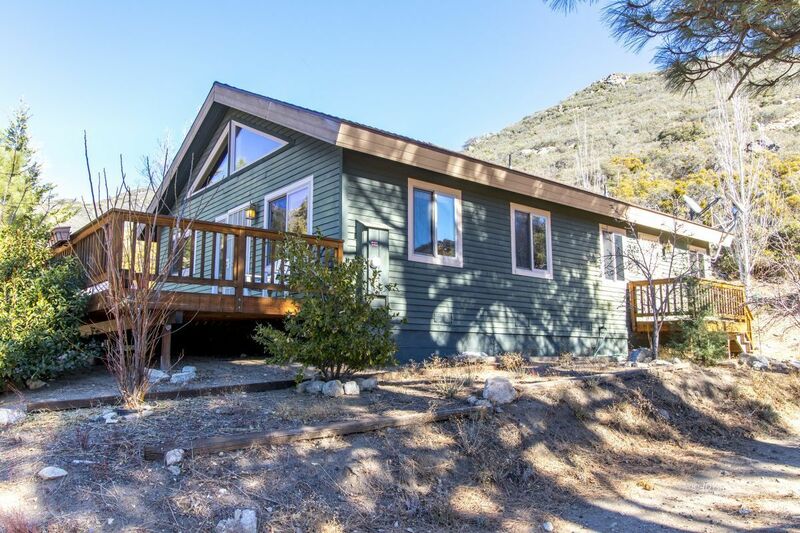 Waterfall( irrigation System), Horseback riding area, Fishing Nearby.. And in the yard find wonderful Fruit trees Pines, junipers, Lilacs and more.